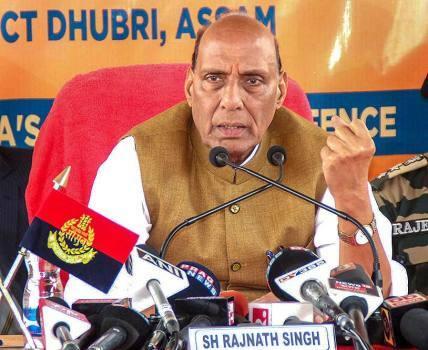 Union Home Minister Rajnath Singh addresses the media at Indo-Bangladesh border in Dhubri district of Assam. 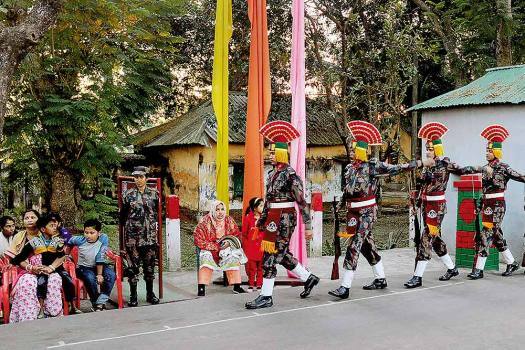 Border Security Force (BSF) personnel patrol along India- Bangladesh border fencing ahead of the 70th Republic Day function, at Ragna village in Dharmanagar. 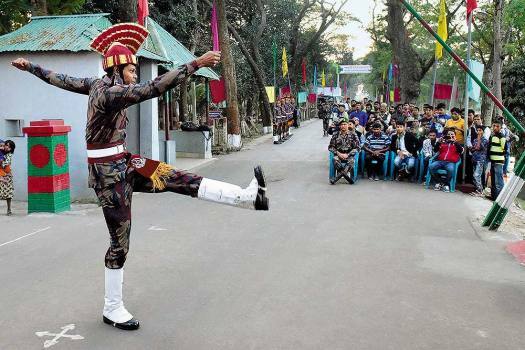 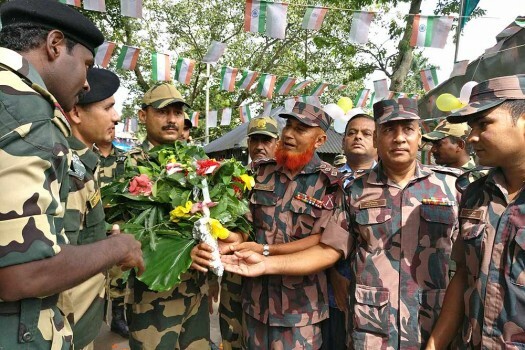 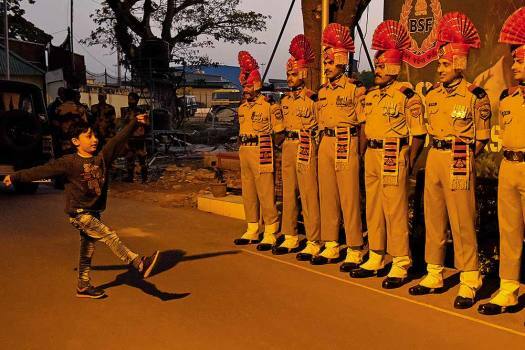 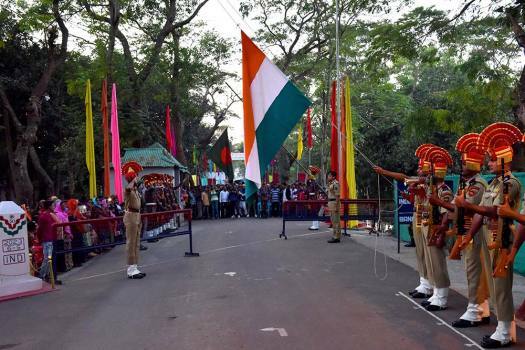 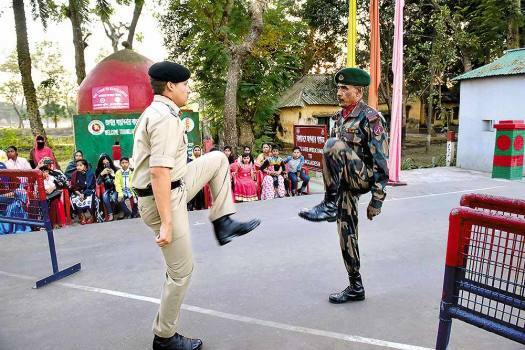 Bangladeshi troopers at the Beating Retreat at Akhaura, Tripura. 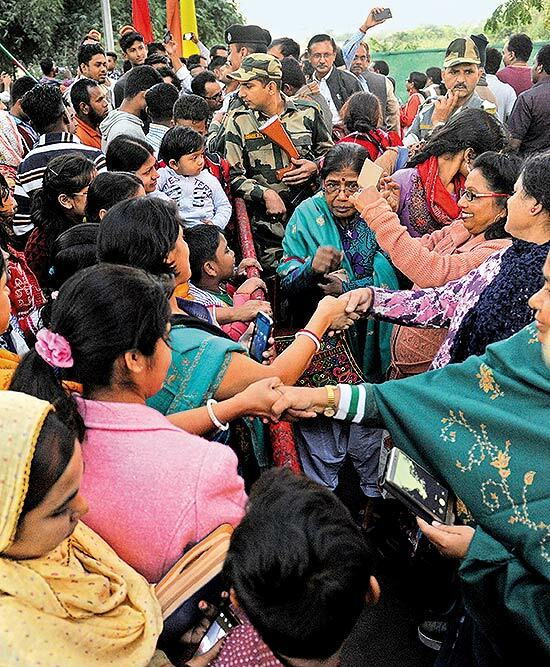 Visitors from India and Bangladesh meet at the Akhaura check post on the Indo-Bangladesh border in Tripura. 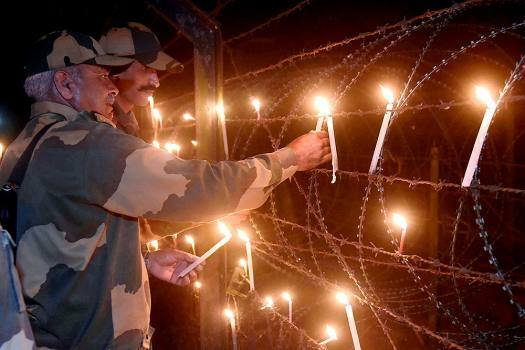 Border Security Force (BSF) jawans place candles along the border fence as they celebrate Diwali at the Indo-Bangladesh Border in in South Dinajpur district of West Bengal. 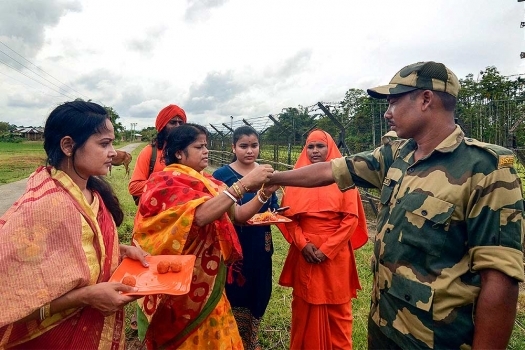 Bengali women tie rakhi on the wrist of a Border Security Force personnel on the occasion of Raksha Bandhan at Ragna village near India-Bangladesh border in Dharmanagar. 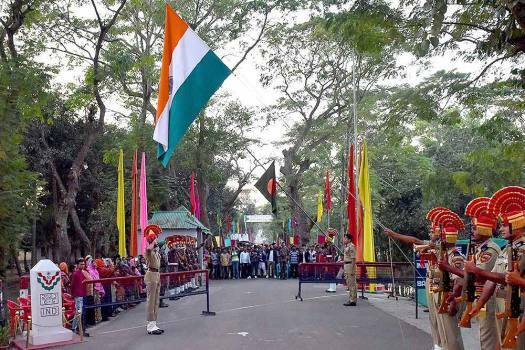 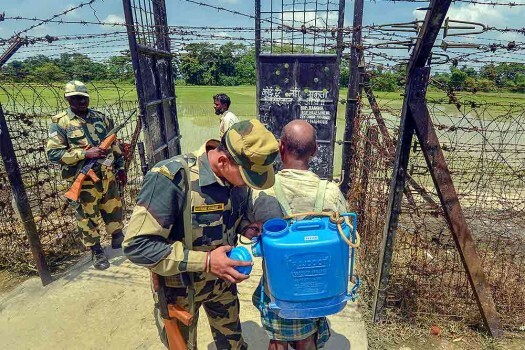 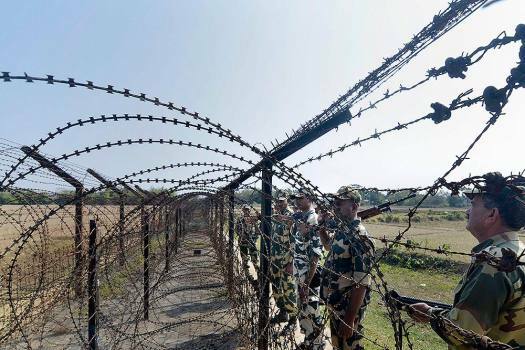 Border Security Force (BSF) personnel carry out strict checking along the India-Bangladesh border fencing, ahead of the 72nd Independence Day, at Dharmanagar, Tripura. 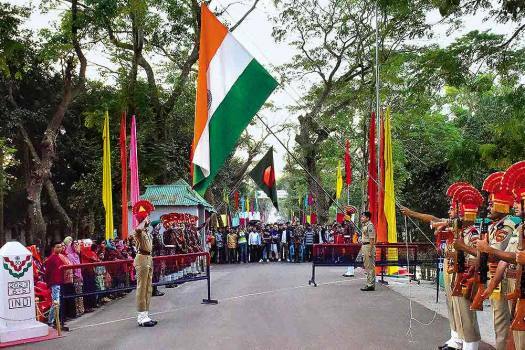 Indo-Bangladesh border at Chowdhuryhat village in Coochbehar District of Indian State, West Bengal. 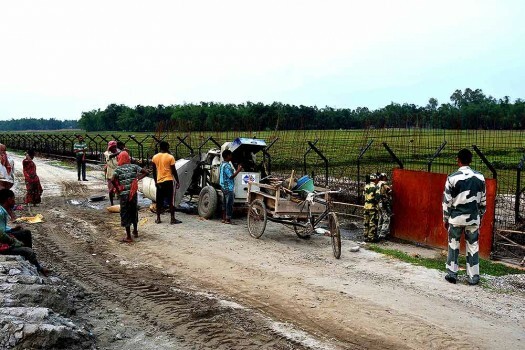 Road construction work in progress at Gandak village in Jalpaiguri District of Indian State, West Bengal. 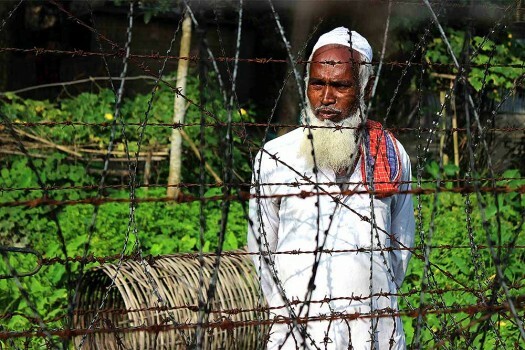 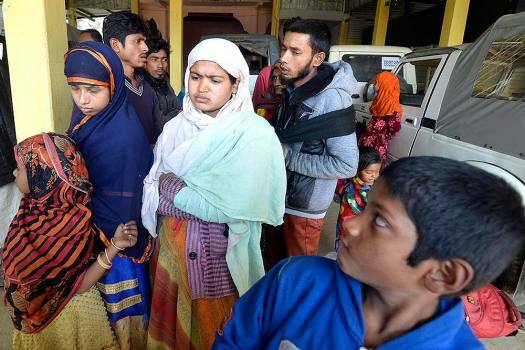 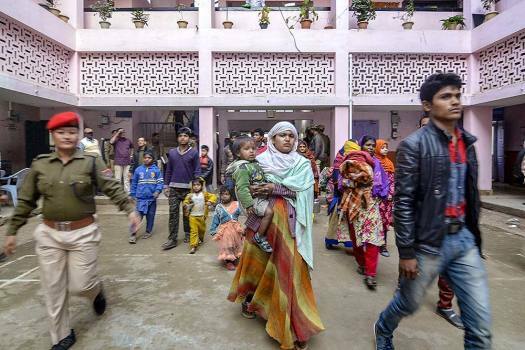 "We are aware that a large number of Rohingyas are assembled there in Bangladesh and from time-to-time some small groups did try to enter India, but I am very happy to say that we did not let them succeed," the DG said. 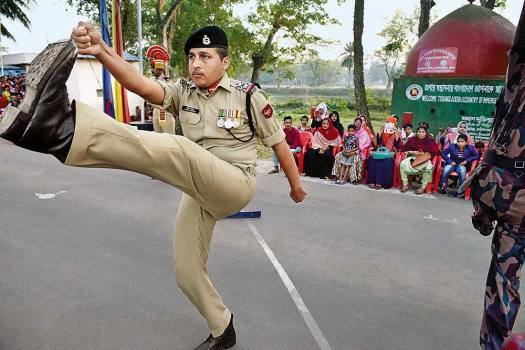 The states that will be benefited include Gujarat, Himachal Pradesh and Uttar Pradesh.